Welcome to WeCo’s Free Accessibility Library! 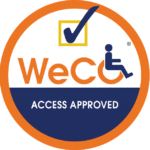 As a mission-based company, WeCo feels that accessibility knowledge should belong to everyone. Open to anyone who wants to learn, please use the Library often and share the link with others. Below is the link to WeCo’s Accessibility Blog, written by our team of Accessibility Specialists who live with disabilities. We also have an archive of articles you may find helpful. Below are third-party resources designed to help you answer your accessibility questions and dig deeper into topics of interest. The library is organized into several broad categories with resources under that category listed on a separate page. You may also use the search box on this page to enter key terms that will help you pinpoint what you are looking for. Information about accessibility and associated laws and standards . This section gives a list of resources for web professionals who are looking to make their websites accessible. 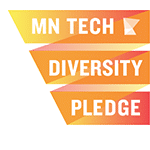 This section gives a list of resources for web professionals who are looking to make their documents and videos accessible. This section gives a list of resources for web professionals who are looking to make their mobile based websites and apps accessible.